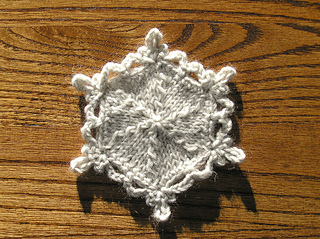 The pattern wss in the “a little something special” group of free ornament patterns on Knitting Daily. 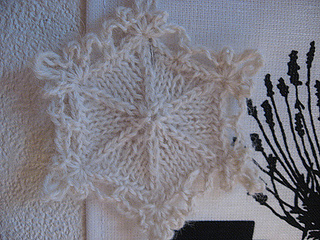 This project is shown on page 40-41 of Interweave Knits, Holiday 2008. The pattern is NOT in the magazine, however. Readers are instructed to find instructions on the website www.interweaveknits.com.